I've got to admit, I have a new favorite sweatshirt. If I'm not at work and I'm not running, I am wearing this sweatshirt. Gone for a Run has a new States line. shirts, mugs, wine glasses, decals, coasters. You name it. I love my States sweatshirt . Go Maine! The sweatshirts are unisex sized. I chose a small and it's a perfect fit. I love a comfy sweatshirt. I especially love a Maine runner one, that is very original, super warm. I've needed this super warm sweatshirt quite a bit lately given our especially cold winter that just won't stop handing out the negative temps. Truth be told, even after the negative temps disappear. 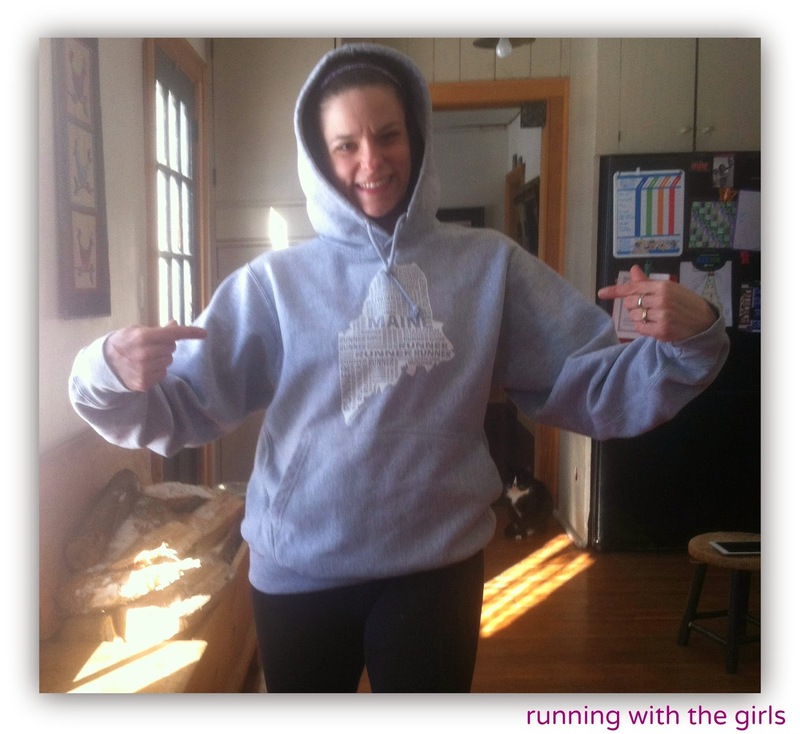 I'll still be putting this sweatshirt on - after running, after work, anytime because it's that fantastic. Shrinkage? None. There is nothing worse than loving a shirt but when you wash and dry it, it shrinks. No problems here with this sweet sweatshirt. and you can get your shirt personalized! I mostly asked for name to be put on the back to keep Ward from taking it. Yes. I've resorted to putting my name on thing to keep him from taking my things! 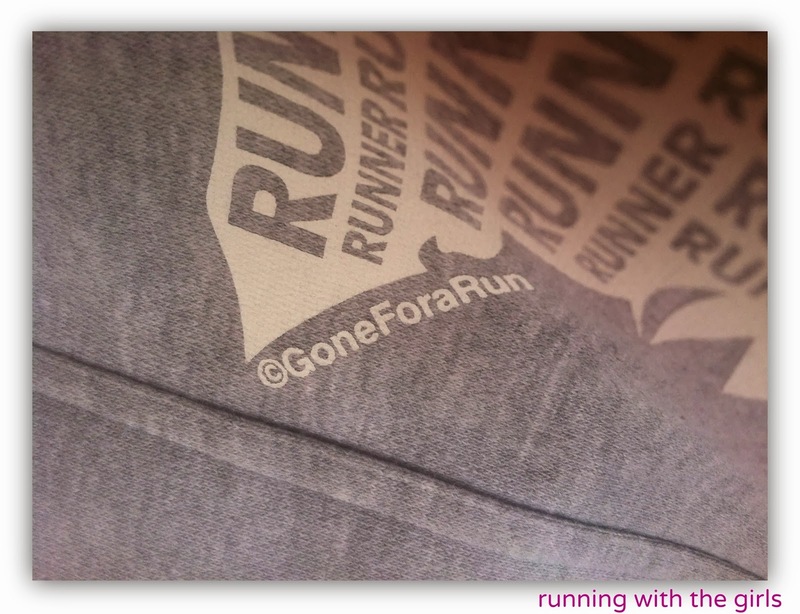 Have you checked out what Gone for A Run has to offer? 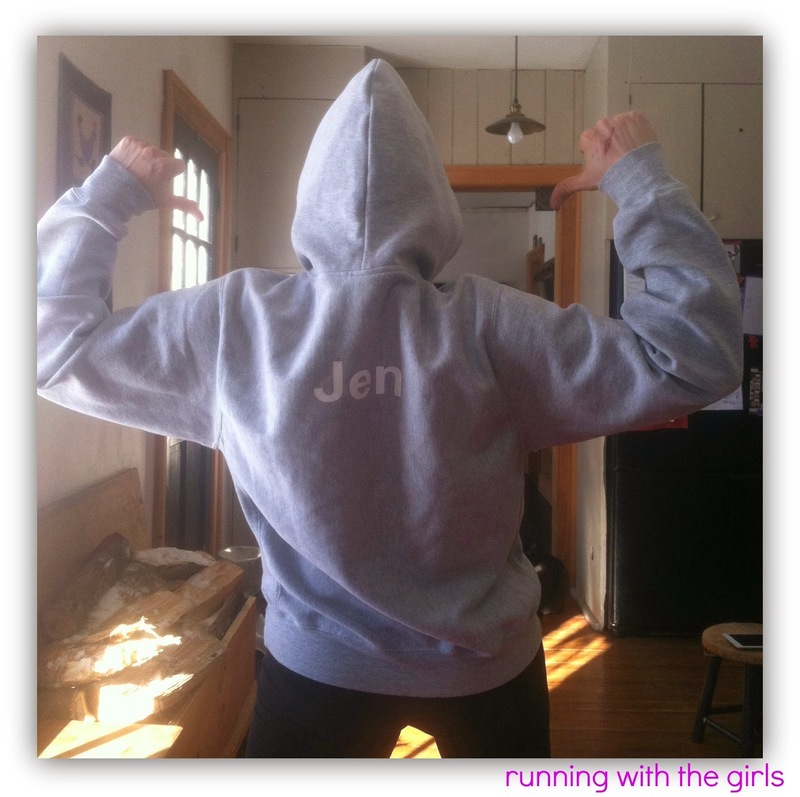 They have a huge selection of great gifts for yourself or your favorite runner. Disclaimer. I received this sweatshirt for the purpose of a review. As always my opinions are 100% my own. So cute. I'd love and Sc or IN one. I have looked at them recently. I like them. Thinking about getting the vinyl for my truck window.